Learn how a new provision signed into law on Dec. 4 prohibits those who are seriously delinquent on their taxes from obtaining or renewing a passport. Maybe you want to get away from Arizona this season to experience a real winter with snow and skiing in the Alps, or maybe you are planning a romantic, spring vacation in Paris. If you owe money on your taxes, your amazing travel plans could be thwarted. Thanks to changes in international security after terrorist attacks over the last couple of decades, you can no longer travel between countries without showing a passport. You used to be able to drive into Mexico or Canada just by showing your ID or your birth certificate, but now you’ll be stopped if you don’t have your passport. But if you owe a significant amount of money on your taxes, you won’t be able to go anywhere. A new provision signed into law on Dec. 4 prohibits those who are seriously delinquent on their taxes from obtaining or renewing a passport. The law that introduced the passport penalty for delinquent taxpayers was snuck into the most unlikely of places. It was included with the Fixing America’s Surface Transportation Act, even though the law has nothing to do with roadways or public transportation. As happens with many laws, the provision was snuck into another act so as not to attract attention. The new law will be added to the Internal Revenue Code as Section 7345. The law gives the Secretary of State the authority to deny or revoke the passport of those who are seriously delinquent, which is defined as owing $50,000 or more to the IRS. That amount includes interest and penalties, so even those who owed only a couple thousand dollars from a single audit could end up falling under this classification. Failing to pay delinquent taxes quickly or being found guilty of fraudulent activity can result in steep interest and penalties that can compound your debt in a relatively short amount of time. The amount will be adjusted annually for inflation and the cost of enforcement, so the amount is likely to go up over time. In order to have your passport revoked or denied, you must owe the amount specified and you must have received a notice of a lien or levy. The provision does not apply to tax debts for which a person has already worked out a payment plan. Therefore, if you want to keep your passport protected, you can act quickly by working out a payment plan with the IRS. If you aren’t sure where to start, you can work with a tax lawyer to find ways to reduce the amount you owe or to work out an affordable payment plan. If you take no action, you could find yourself stranded in a foreign country while you are on vacation. The passport revocation won’t come without notice since you are aware of the taxes you owe long before they reach “seriously delinquent” status. Therefore, you should not allow yourself to become complacent and take your vacation thinking that everything will be fine. You don’t want to end up stranded or in some complicated legal waters while you are in another country. Consult with an Arizona IRS attorney to figure out how to deal with your tax debt before you lose your passport. It could mean much more than not being able to take a vacation — especially if you have family living in another country or you have to travel for business. You could miss out on getting to see your loved ones, or you could suffer serious career consequences. The easiest way to get your passport back if it’s been revoked due to delinquent taxes is to pay what you owe. The new law includes procedures for removing the passport prohibition after the debt has been satisfied. But paying a $50,000 debt is not as easy as just writing a check. Most people wouldn’t have the delinquency in the first place if they had the money to pay the tax. There are several things you can do to satisfy your debt. The first place you should start is consulting with an experienced Arizona tax lawyer. Your attorney can review the details of your case and may be able to assist with penalty reduction. Your Phoenix tax lawyer will help you understand all the issues that relate to your case and help you explore all your options for reducing the debt. Once you can eliminate your debt or establish an affordable payment plan, you can get your passport back. Losing your passport isn’t the only consequence you might face if you owe back taxes. You will be charged monetary penalties that are either a percentage of the tax owed or a set amount, depending on the kind of error made. For example, if you don’t file your return on time, you must pay 5 percent of the unpaid tax for each month that the return is late. The penalty is capped at 25 percent. These fees and penalties can add up quickly, which is why even moderate tax debts can quickly turn into serious delinquencies that can cost you your passport. If you do not pay your taxes or the penalties, the IRS has the right to seize property to satisfy the debt. That can include your home, your business, your automobile, your bank accounts, and other assets. The IRS may seize property and sell it at auction to raise the money that you owe. In cases where fraudulent or criminal activity is detected, you may be sentenced to prison time. In addition, a tax delinquency can prevent you from getting some kinds of jobs, such as those that require you to work with money. If you cannot handle your own finances, a company is unlikely to want to hire you to handle theirs. Not everyone ends up with a tax debt because they were trying to avoid paying taxes or intentionally lied on their returns. A lot of people just make simple mistakes that end up costing them a lot. Others just don’t have the money to pay and don’t know what to do about it. That’s why you need to work with an experienced IRS attorney. Silver Law PLC in Arizona can help you. Our attorneys not only have years of experience defending clients in tax matters, but they have also worked for the IRS themselves as counsel attorneys. They know how these cases are handled from both sides of the table, and they can use that knowledge to help you get a better outcome for your case. Silver Law PLC represents clients in civil and criminal tax matters, tax litigation, tax audits, tax collections, and more. Whether you have just been notified that you will be audited or you are at your wit’s end about how to handle your delinquency, we can help you. We’ll do everything we can to help you find ways to minimize your tax debt and penalties, ensuring that you can keep your property and your passport. 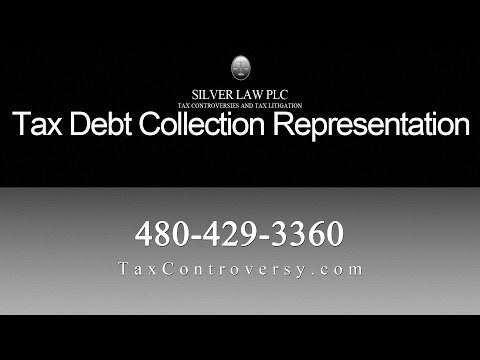 Call us in Arizona today to work with an experienced tax lawyer, or if you are in Nevada, contact your local IRS tax audit lawyer at Silver Law PLC.